On today’s episode, we hear about a FinTech startup story that wants to coin the term “usage-based billing. In a digital age, consumers increasingly expect to pay only for what they use, so I invited Mike Trotzke onto the show to learn more about the Bloomington-based billing technology company. Essentially, Cheddar is a usage-based billing platform that cuts the time it takes to build monetization into a product by as much as 90%. No matter if your billing model is metered, one-time, subscription, or some combination, Cheddar allows you to focus on building awesome products, not billing for them. In just a few API calls, Cheddar manages all the complexity of billing and collections–including pricing, processing, underwriting, SaaS metrics, customer communications and revenue optimization. We discuss the challenges he sees regarding payment platforms in software development, and the vision he has for the cloud billing sector. 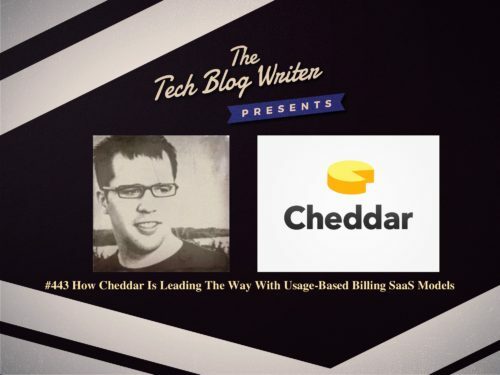 Mike Trotzke, the CEO of Cheddar, strongly believes that usage-based billing capabilities are key to many SaaS models. Mike Trotzke started his first company while in college and spun off another one and sold it to a large company. Cheddar was launched in 2009 through the SproutBox venture studio, which was also co-founded by Trotzke and Marc Guyer and is also based in Bloomington. SproutBox is made up of an elite crew of product developers, creatives and business experts that invests talent in startup companies with high growth potential in exchange for equity. The serial entrepreneur and investor shares his journey and experiences on today’s episode of the Tech Blog Writer Podcast and advises why ‘I’ve found this problem’ is way better than ‘I’ve got an Idea’.